New proposals from Ofsted have prompted a shift in the rhetoric around inspection. John Viner summarises the changing times. 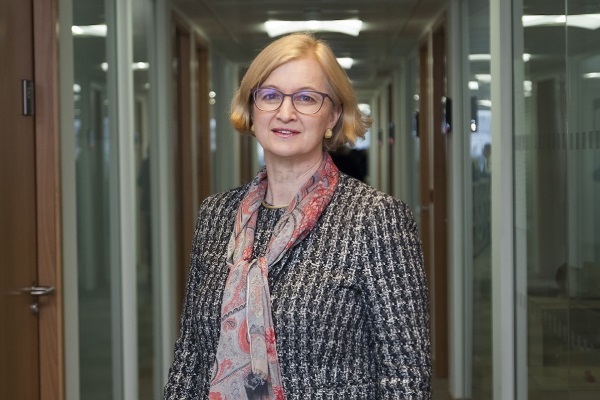 With the departure of Her Majesty’s Chief Inspector of Schools, Sir Michael Wilshaw, Ofsted moved into a new phase under the leadership of Amanda Spielman. Out went the old-school, lead from the front, progress-focused, no-excuses, standards-driven traditional ex-headteacher. In came rather a wildcard: a chief inspector who had never taught, let alone run a school. There is much to be said for the fresh perspective and objective viewpoint that Spielman presents. It can be argued that she brings to inspection the kind of radical review a process, largely unchanged for 20 years, needed. However, Spielman has inherited an organisation blamed as much for its corrosive impact as it was lauded by Wilshaw for raising standards. And there is no doubt that Ofsted has had a massive – and generally positive – impact on the nation’s schools. When I first trained as an inspector in 1997, we learned the mantra that ‘the purpose of inspection is to raise standards by the identification of the strengths and weaknesses of a school.’ It is beyond doubt that the quality of schools and the education they provide has risen considerably since those early days. Although she will have to deal with the issue, it was not the re-inspection of outstanding schools that was Amanda Spielman’s main focus. It was the curriculum. What Spielman has done is to recognise that the relentless focus on achievement has distracted some schools from delivering a rounded curriculum, designed to meet the needs of all its pupils, regardless of their attainment. It is the curriculum that has been on her radar since she was appointed; one of her first acts was to commission a research project into the curriculum and how it was crafted. Introducing the report, she argued that 'without a curriculum, a building full of teachers, leaders and pupils is not a school. Without receiving knowledge, pupils have learned nothing and no progress has been made – whatever the measures might indicate. This is why exams should exist in the service of the curriculum rather than the other way round. This has begun to change the rhetoric around inspection. The headlines in the press say it all; ‘Ofsted to stop focusing on exam results because the curriculum is a casualty’ was a common headline in the broadsheets. But the reality is that the chief inspector has identified what we largely already knew: that many schools tended to narrow the curriculum in favour of teaching to the test. This is true at any point – students preparing for GCSE or pupils practicing endless SATs papers. Now we can expect that this is going to be the sharp focus of the next inspection framework. The small changes that have been made relate largely to the timing of inspections. Those schools judged as good will normally receive a one-day short inspection, carried out under Section 8, approximately every four years, as long as the education remains good. Schools judged to require improvement will be re-inspected under section 5 usually within 30 months after the publication of the Section 5 report and those judged as inadequate and not subject to an academy order will normally be re-inspected within 30 months after the publication of their previous Section 5 report. The expectation, however, remains that schools will come out of a category within two years. We can glean a sense of the direction of inspection from the September 2018 special edition of School Inspection Update. Inspectors have recently had training on four main themes. Memory and the power of recall – some of the principles of the part memory plays in learning and how this is reflected in curriculum planning. Myths and misconceptions − inspecting the curriculum for progress in skills, rather than progress and learning. Equalities − to reinforce inspectors’ understanding of equalities policy and guidance when on inspection. Assessment − going beyond the data. Understanding the purpose of assessment, and reaching valid and well-evidenced judgements on progress and attainment. Inspectors were given some suggested reading – and this too suggests the future direction of travel because there is a bit of a focus on effective but limited marking and quite a lot on cognitive development. To be ahead of the game, read Daniel Willingham’s 2009 book, Why students don't like school.